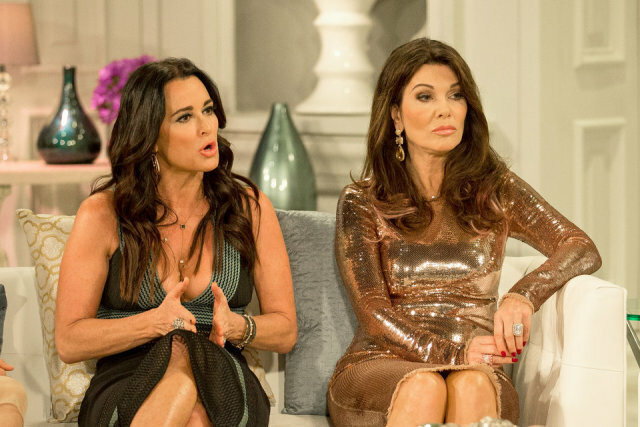 Bravo typically reserves the juiciest reunion drama for the final episode, but for The Real Housewives of Beverly Hills Season 6, there’s little to discuss outside of who said what about Lyme disease and Munchausen syndrome. Turns out, this needless drama may have been fabricated for the sake of a juicy story, just as everybody’s suspected all along. Now, the question is, which Lisa is responsible for this season’s incessant bickering? 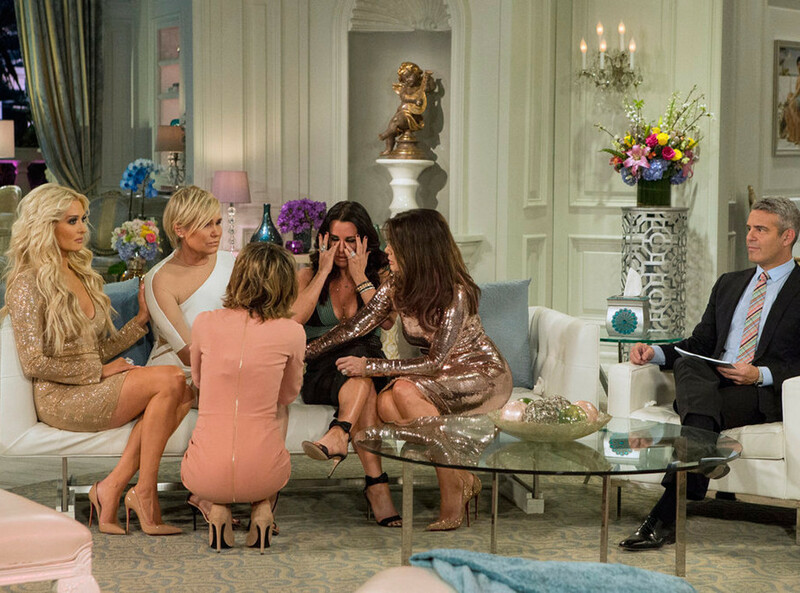 According to Lisa Rinna, the true culprit is Lisa Vanderpump. During last night’s segment of the reunion, Rinna threw her fellow Lisa under the bus, claiming that Vanderpump was eager to capitalize on Yolanda Foster’s Lyme disease story from the very beginning. 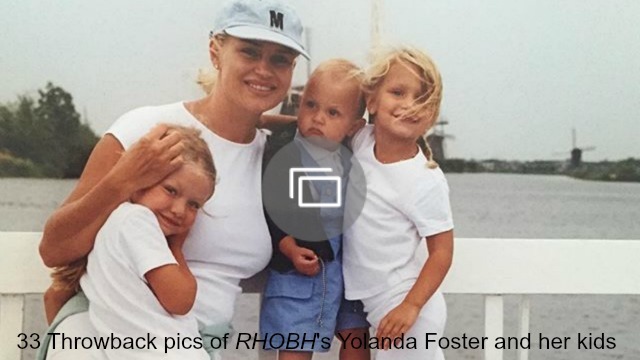 In the first bombshell of the evening, Rinna claimed that, when Harry Hamlin suggested that the entire cast supports Yolanda Foster, Vanderpump whined about the season’s storyline being shot. Rinna also accused Vanderpump of calling her repeatedly in hopes of instigating the Munchausen drama. Although she produced documentation of these calls, her story just doesn’t add up. Vanderpump is certainly capable of creating drama out of thin air, but she’s not stupid. Why would she choose Rinna, of all people, to do her dirty work? And assuming she let such careless remarks slip, how would nobody else (including an entire camera crew) have heard? Very little gets past the geniuses at Bravo, who will happily expose even the most inconsequential remarks if they suspect drama will ensue. The battle of the Lisas is on, and viewers are busy picking sides. Most seem to favor Vanderpump, but given the ardent support she’s received over the years, that’s not exactly surprising. Very few had anything good to say about Rinna while live-tweeting last night’s episode. Things aren’t looking good for Lisa Rinna and her one faithful supporter, but in her latest Bravo blog, Eileen Davidson did bring up one compelling point: She and Rinna have nothing to gain by calling out Vanderpump. In fact, by doing so, they could very well be putting their Bravo careers on the line. Then again, while Davidson really does gain no benefit from duking it out with Vanderpump, Rinna gets attention, which is always her main prerogative. Ultimately, it doesn’t matter whether Vanderpump or Rinna instigated the drama. The Munchausen debacle ran its course a long, long time ago, and here we are, still discussing it like the chumps we are. If Vanderpump masterminded all this, she did a great job — and she sparked one of the most pointless feuds in Housewives history. What did you think of last night’s Lisa versus Lisa battle? Are you Team Rinna or Team Vanderpump? Comment and share your opinion below.